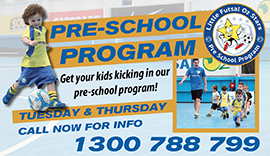 The Junior Futsal Oz Nationals is Australia’s most prestigious club-based Nationals event on the Australian futsal calendar, bringing together the best junior futsal/soccer players and clubs from all over Australia for an annual tournament. In 2018, with a total of 78 teams across six age groups, the 2018 Junior Nationals was the biggest and best tournament to date. 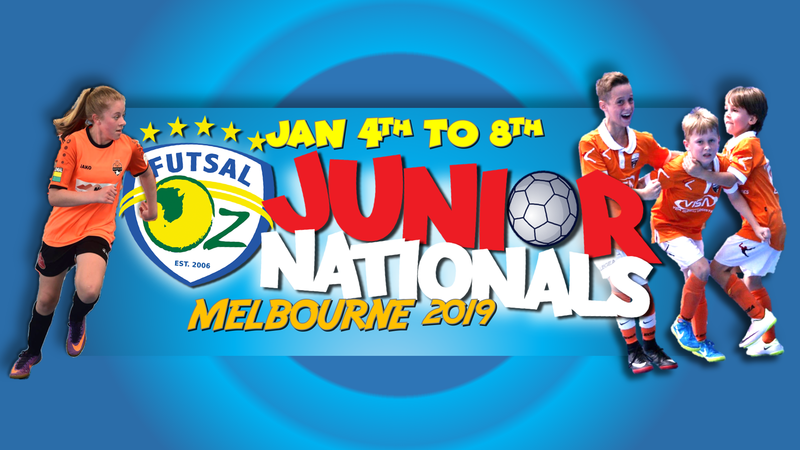 In true Futsal Oz style, event organisers have once again stepped things up to another level and the fifth-annual Junior Nationals in 2019 is set to be even BIGGER with the introduction of two new girls only competitions! The Under 8s and 10s will be played at the long-standing two-court Brunswick Stadium. All other competitions including Under 12s to Under 21s will all be played at the four-court Thomastown Stadium. All grand finals will be live-streamed and played on Tuesday the 8th of January at Futsal Oz’s World Class Thomastown Stadium on the Main Arena – home to the Victorian Series Futsal competitions. The Thomastown and Brunswick stadiums are both located in the northern suburbs of Melbourne and are separated by approximately 25 minutes (by car). See below for details regarding the 2019 Junior Futsal Oz Nationals.